MoJoy Studio is designed as a colorful and inspiring work space filled to the brim with not only great ideas for projects, but all of the tools and supplies to create! We encourage creative thinking, imagination, and self confidence, traits that are essential for success not only in art, but in all aspects of life. Check out our calendar for a full list of upcoming classes and events! Or, get a few of your friends together and call us to arrange a private custom class. 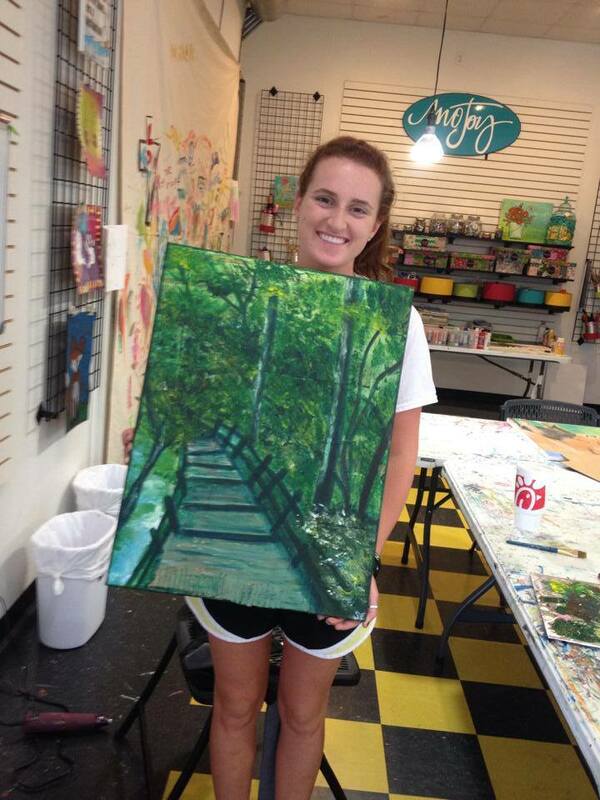 Shelby shows off her first big painting that she created as part of our Artists Unlocked course, Spring 2014.